Online gaming generates billions of dollars in revenue each year. as a poker affiliate you can make a ton of money from this huge slice in the market. In this article I’ll be sharing affiliate marketing tips and tricks to help turn your affiliate website into a profitable business. Poker gaming is a massive niche with lots of competition. Follow my tips and you’ll soar above other poker affiliate sites. Don’t expect results in five minutes as it takes time to build a solid, long lasting business. The number one mistake many marketers make is not offering the right products to their audience. It’s vital to your success to know your audience. Start with keyword research. Google adwords is a good place to begin, as well as ubersuggest. Drill down to find long tail keyphrases. One of the best poker affiliate tips is to join forums and groups. You’ll have the edge over your competition as not everyone does this. These are goldmines for uncovering terminology as well the type of offers your audience likes. Also, install Google analytics on your site as it’s a great tool for providing detailed demographics. Make your affiliate website stand out with fresh unique content. Make sure you use keyword specific articles that your audience will love to read. If you don’t know what to write about, search poker gaming forums for ideas. You’ll not only discover new keywords but you’ll learn about problems online poker players typically have. As a poker affiliate it’s your job to help solve these issues by providing helpful informative content. Yes, you’ll need to spend time researching, but the rewards will be well worth it. You’ll gain visitors trust, and they’ll be far more likely to sign up with online poker rooms you recommend. This of course, will mean lots of hard earned commission in your bank account! A clean, uncluttered layout will look more attractive than one that’s filled with gazillions of banners all competing for attention! Also, avoid coloured text as it’s hard on the eyes. Black text on a white background always works best. Use big, bold letters for headlines to make them stand out. No one enjoys reading large blocks of text on a computer screen. Keep paragraphs short, creating plenty of white space. Many visitors to your poker affiliate website will be looking at a small screen on their phone. This is why it’s so important to create a simple, uncluttered site. Knowing what your competitors are doing is a great way of uncovering what’s working and what isn’t. First, install SEO Quake in your browser. This shows search engine positions, keywords, and if paid advertising is used. Type keywords you want to rank for in Google and study those on the first page. Look at page layout, keywords they’re ranking for, and gaming sites they’re promoting. 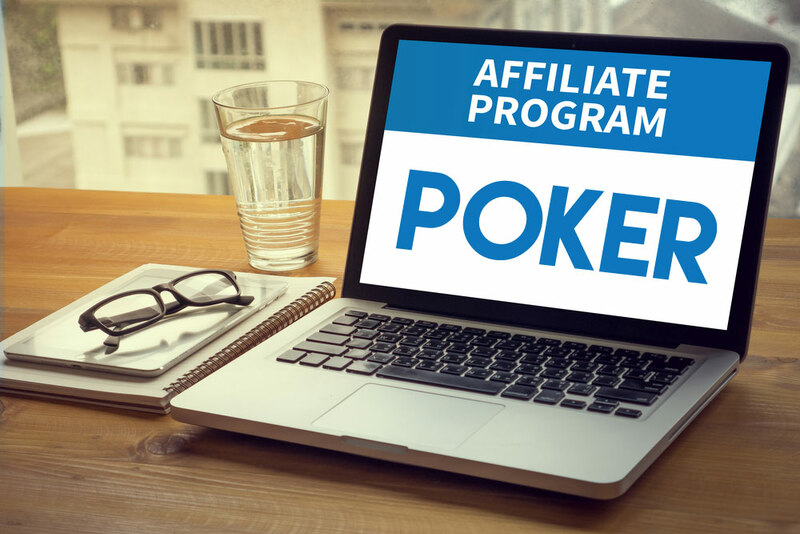 Before signing up with a poker affiliate program you need to do a bit of homework first. Study the site including offers and bonuses. Are they well established? Poker sites that have been around a while may be more reliable. Also, find the affiliate manager and see if he can be contacted. You don’t want to promote a program you don’t trust. If it looks dubious avoid it as there are plenty more. One of the best ways to make a lot of money with your poker affiliate site is to build a list. You can then market the latest offers and bonuses to your subscribers. Offer them something of value in exchange for their email. Maybe a cheat sheet, or quick guide. Place an optin form in the sidebar as well as a welcome bar at the top of your page. You want your visitors to clearly see your freebie. Mix valuable information with offers, so you don’t seem spammy. As long as your subscribers get value from your emails they’ll hang around! Paid advertising can work very well. However, without constant testing and knowing your ROI you can lose a lot of money. Facebook and Google are the main advertising platforms. Youtube is also very effective though often overlooked. Keep your spending to a minimum while you’re testing, then scale up once you’re seeing results. Marketing your poker affiliate site on social media is another option. Find your audience on Twitter or Facebook and engage with them.